Prior to last Wednesday's May 8th rain delayed game vs the Detroit Tigers, the Washington Nationals held a Marines appreciation night at Nats Park. That night, the USMC took part in the different aspects of the game from delivering the lineup card to throwing out the first pitch to screaming "Play Ball!". Eight Marines stood out in the field to greet the Nationals players as they took to the diamond in the top of the first inning. 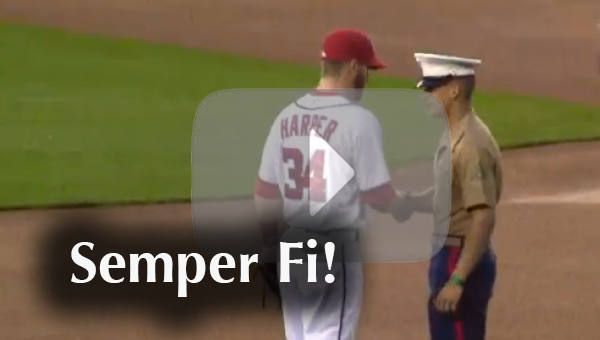 Each Nats starter had a chance to shake the hand of a hero, and it was a great moment as in the video below you can see Bryce Harper shaking the hand of a Marine. 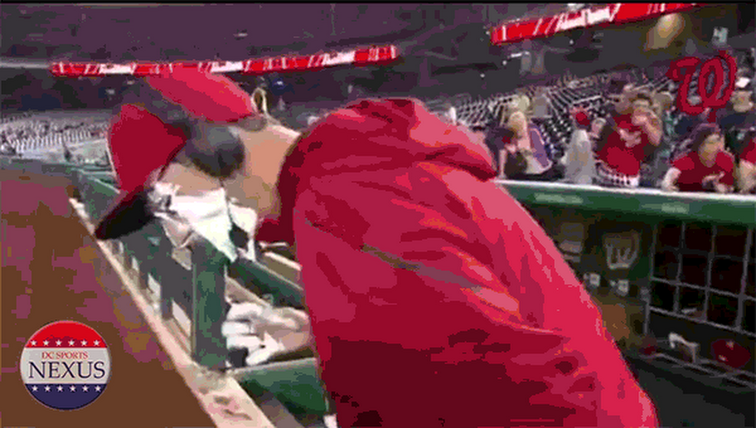 "Hey, that was quite a surprise; the umpires turned around and said thank you for your sacrifice," said Charlton, who was a first-time visitor to Nationals Park. "It was an awesome experience and something I'll never forget. Meeting the catcher [Kurt Suzuki] and to see how appreciative and how sincere they were was awesome." Aside from having fans wave their caps, the Nats do a lot of other great things like Marine Day to help support, celebrate, and thank all the members of our Armed Services. They've even had Navy Sailors take their Oath of Enlistment right on the field.